Replica Baltimore & Ohio RR coach and No 8 John Hancock, Baltimore & Ohio Railroad Museum, Baltimore, Maryland, August 1979. 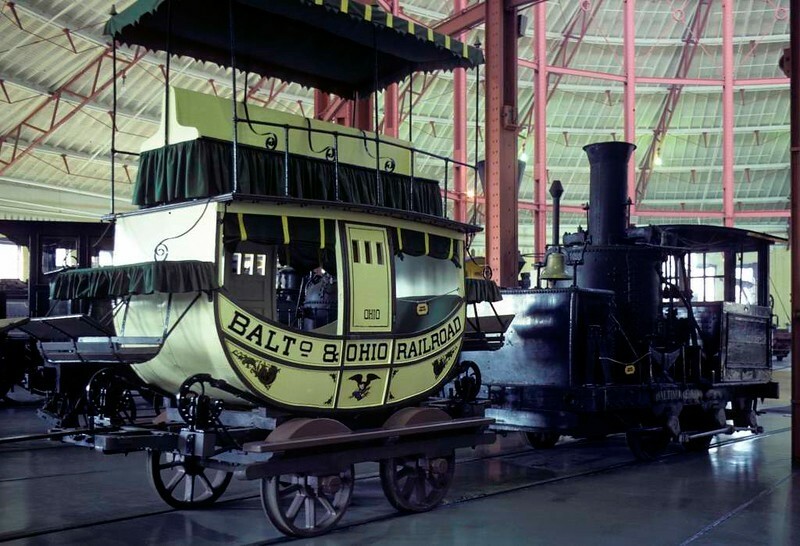 The 'Grasshopper' 0-4-0 was built in 1836 by the B & O. Photo by Les Tindall.